A signature design from Love Moschino with a twist. 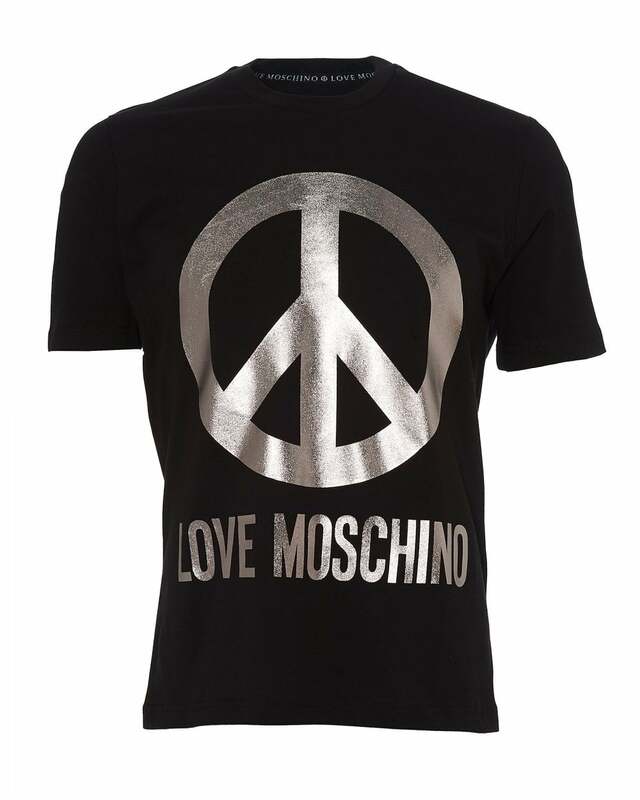 This foil peace sign t-shirt will soon become a staple with your graphic tee collection. Crafted from 100% cotton, this t-shirt will pair perfectly with a pair of jeans and some black trainers.